A burr grinder is a type of coffee grinder that uses a burr to crush whole coffee beans between a stationary surface (disk) and a moving (rotating) grinding wheel (burr or shredding disk). The two main types of burr coffee grinders are conical burr grinders and wheel burr grinders. While a conical burr grinder offers the user the option of a slower rotating speed (and also costs more), the wheel burr grinder uses a higher rotation speed. Burr coffee grinders are the style of grinder recommended for brewing espresso and specialty coffees. Most semi-automatic or super-automatic espresso machines use a built in burr grinder for simplicity and consistency. The burrs of burr grinders can be adjusted and tuned. Burr grinders come in two types – the wheel burr grinder and the conical burr grinder. The wheel burr grinder, which uses a high speed rotation, and the conical burr grinder, which uses a slower rotation and is more expensive. In contrast with disk-type burr coffee grinders which operate at 10,000 rpm to 20,000 rpm creating a higher degree of warmth in the coffee, conical burr grinders operate at about 500 rpm. The design of the steel burrs on a conical burr grinder permit a high gear reduction that slows down the grinding speed. As a result, less heat is imparted to the ground coffee and this provides the finest and most consistent grind that is optimal for preserving the coffee’s flavors and aromas. In addition to using a slower rotation than the wheel burr grinder, the conical burr grinder is less noisy and messy and also better at handling oily or flavored coffees without clogging, though it is more expensive. Good conical burr grinders allow extra-fine grinding suitable for preparing Turkish coffee. Burr coffee grinders are able to achieve a more consistent grind size than blade coffee grinders because the grind size is controlled by the position of the burr. Typically the upper burrs are removable so the grinding chamber may be cleaned, and as such burr coffee grinders often come with a cleaning brush. There are also coffee grinding discs that are made from cleaning products and are simply run through the grinder to remove built-up oils and grounds. After the cleaning disc is passed through the grinder, additional coffee must be run through the grinder to then clean out the cleaning powder. This wastes some coffee beans, but prolongs the life of your grinder in the long term and is absolutely recommended. 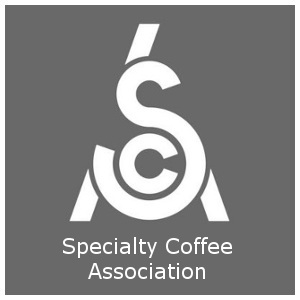 Specialty coffee lovers love to purchase the very finest coffee beans and then use the optimal grinding and brewing methods to ensure they can appreciate the gourmet beans. For this reason, conical burr grinders are widely respected as the best way to grind your premium gourmet coffee beans and get the most of their fine flavors and aromas. This is true for brewing espresso as well as for brewing gourmet coffee. Whole bean coffee stays fresh for weeks compared to days for pre-ground coffee. There are many different types of coffee grinders, though the two main types are blade coffee grinders and Burr coffee grinders. Burr coffee grinders – and particular the conical burr coffee grinders – are preferred for premium gourmet coffee beans because they produce a more consistent grind size (controlled by the burr position) than the blade grinder. Another reason that blade coffee grinders, which are the most popular and widely available, are not the best is that they may cause excess heat and effectively re-roast the coffee beans, negatively affecting the coffee’s fine flavors. The blade coffee grinder also does not produce a consistent grind size and this also prevents optimal brewing. A burr coffee grinder, in contrast, uses a burr in order to crush the coffee beans between a rotating grinding wheel (the shredding disk, or burr), and a stationary surface. Adjustments can be made to the burrs to fine tune the coffee brewing process. The conical burr grinder may rotate at a speed of about five hundred revolutions per minute while a wheel or disk burr coffee grinder may have speeds in the range of ten thousand to twenty thousand revolutions per minute. The conical burr grinder design is the superior burr grinder since it utilizes steel burrs which allow a large gear reduction and this significantly slows the overall coffee grinding speed. The result of using conical burr coffee grinders is not only a very consistent and fine grind size, but also the preservation of the finest flavors and aromas in the coffee beans because very little heat is imparted to from the grinder to the ground coffee. Grinders vary in quality and accuracy, with cheaper brands offering inconsistent grinds and more expensive brands such as Baratza offering consistency over years – even decades if properly maintained. Another advantage of the conical burr grinder is that it handles very oily coffee beans better than the wheel burr grinder, which is more likely to clog with very oily beans and with flavored coffees. Note that this is only the case with stale coffee that has been sitting on shelves in grocery stores for months – fresh roasted coffee does not have this problem. Conical grinders are also generally quieter, and for extra-fine coffee grinding (e.g., for Turkish coffee), the conical burr coffee grinder works best. The upper burrs will likely be removable so that the user can clean out the grinding chamber, and a cleaning brush may also be provided. 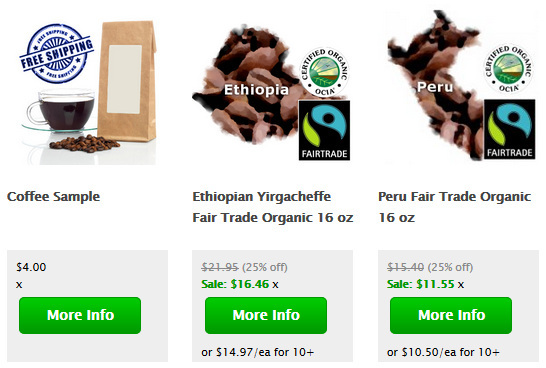 To see detailed specialty coffee flavor profiles see Gourmet Coffees. We also provide step-by-step instructions on making espresso drinks – see Espresso Drink Recipes, Pulling A Perfect Espresso Shot and How to make Lattes and Cappuccinos. For detailed definitions see the Espresso Coffee Guide’s Coffee Terms.